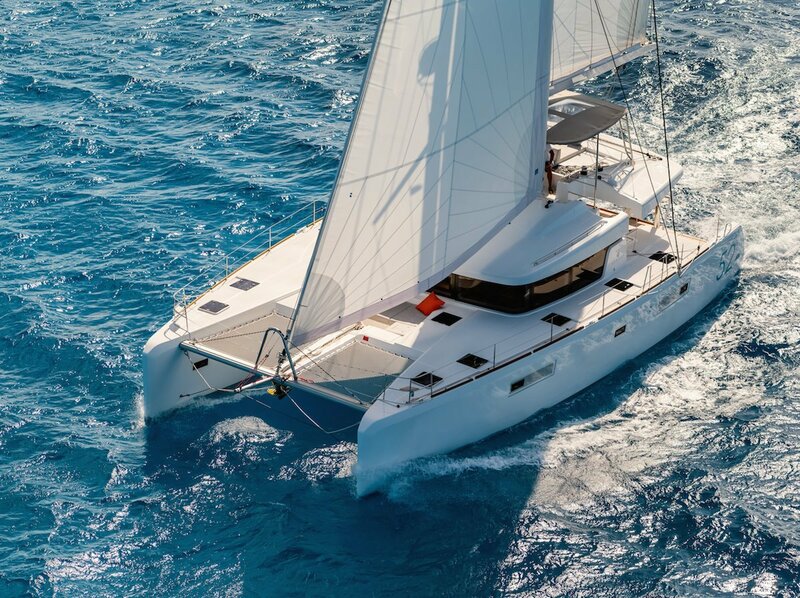 For many years naval architects VPLP have been moving the masts further aft in their racing catamarans to improve performance - the Lagoon 52 is now one of the first cruising catamarans to benefit from this revolutionary approach. But performance does not come at the expense of comfort and safety. Benefit from the "best of both worlds" with thoughtful design, wide clear side decks, flush fitting hatches, direct access to the flybridge, ample sun protection and several cosy relaxation areas all contributing to your on board enjoyment. A truly luxurious inside layout using light modern materials ensures bright and comfortable living spaces. However many cabins you choose - 3,4,5 or 6 - each has its own personality with a private bathroom and independent shower. Of course the galley is fully equipped with a fridge, freezer, hob and oven. Interior and exterior areas are seamlessly integrated to provide ample entertaining and relaxing areas suitable for every occasion. The flybridge is a sailors dream - all controls are grouped and within easy reach. The steering pedestal can be locked in three positions so visibility is uninterrupted in every direction. Your guests will enjoy the extra living space & modular sun bathing area. 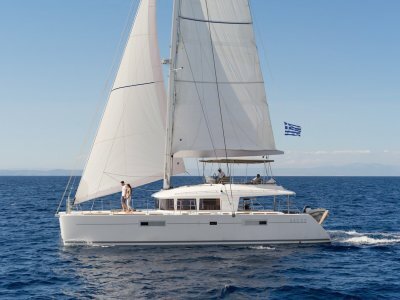 The optional bimini is equipped with opening ventilation and roof access steps. Direct access to the cockpit below provides more relaxation and entertainment options. The wave piercing qualities of the fine hulls are self evident. 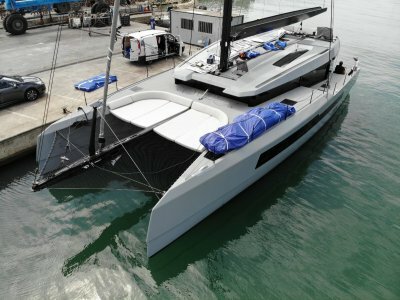 The aft centred mast, well balanced sail plan and thoughtfully positioned fuel and water tanks mean there is very little pitching. 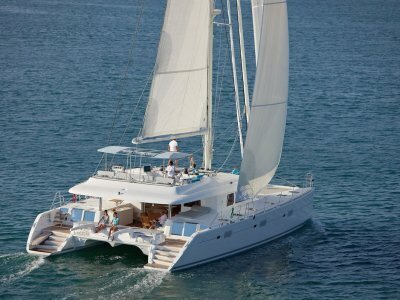 Powerful downwind sail options help take full advantage of this catamarans racing heritage. 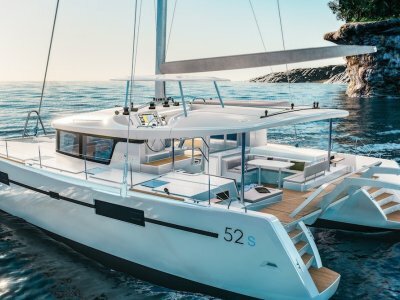 Make no mistake - the Lagoon 52 will take you anywhere - comfortably and quickly!